إذا كنت تبحث عن فندق بموقع جيد في أديليد، فقد وجدت ضالتك في Adelaide Rockford Hotel . يجذب هذا الفندق ذو 4 نجوم، والذي يبعد 0km فقط عن وسط المدينة و 6 km عن المطار، الكثير من الزوار سنوياً. يشكل هذا الفندق ملاذاَ مريحاً للاسترخاء ويمنح زواره فرصة للاستجمام والتجدد، وهو يقع على بعد خطوات من المعالم السياحية الكثيرة للمدينة كمثل: Jam Factory Craft & Design Centre, مسرح ميركوري, ‪Roy Rene Statue‬. يعرف Accor Hotels بالمستوى الراقي لخدماته ولباقة موظفيه، وهذا ما ستجده في Adelaide Rockford Hotel. إن خدمة الغرف على مدار الساعة, واي فاي مجاني في جميع الغرف, خدمة التنظيف يوميًا, خدمة غسيل ذاتية, مجهز لذوي الإحتياجات الخاصة هي جزء فقط من الخدمات التي تميز Adelaide Rockford Hotel عن باقي الفنادق في المدينة. تتضمن كل غرف النزلاء وسائل الراحة والتسلية المصممة خصيصاً لضمان الراحة القصوى للضيوف. إن مركز للياقة البدنية, ساونا, حمام سباحة خارجي, تدليك هو المكان الأمثل في الفندق للاسترخاء وتفريغ طاقتك بعد نهار طويل. إن Adelaide Rockford Hotel هو خيار ذكي بالنسبة للمسافرين إلى أديليد، بما يوفره من إقامة هادئة ومرحة. 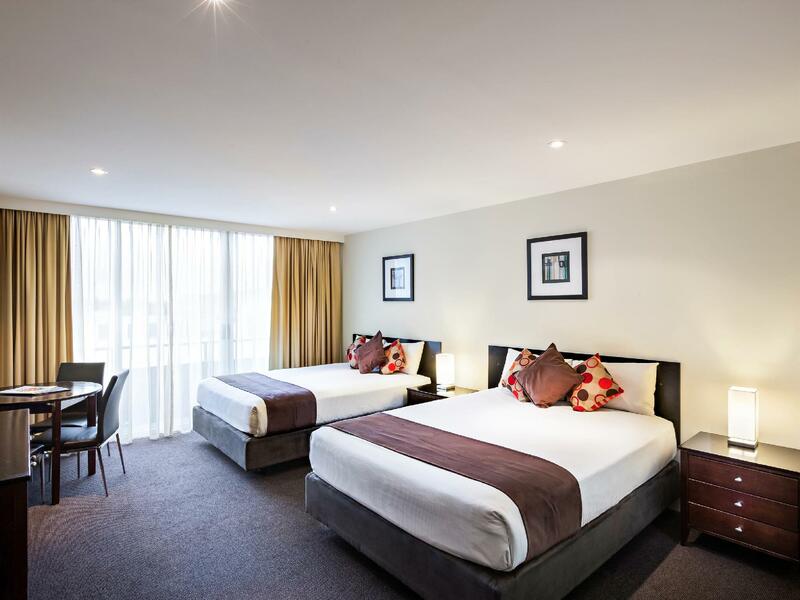 Very nice place for a quick getaway to Adelaide, nice location near SA uni and Randal Mall. Currently some renovations are being carried out which caught us of guard and blocked our veiw from the room. The pool is out of action also due to renovations which the staff did not advise on arrival with 35degrees plus days. Breakfast could have more options! We stayed for three nights and it was just too noisy both during the day and night. Housekeeping only made the bed and put extra towels but did not collet the ones that were in the floor, also did not take the rubbish out during our staying which was very disappointed. What we really liked was the breakfast, it was nice! Stayed at the Rockford whilst I was in Adelaide for graduation. 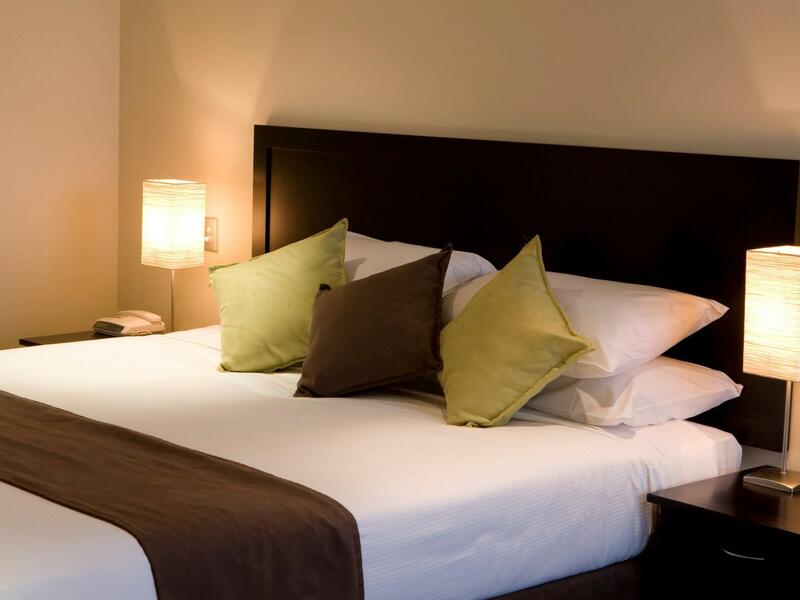 The rooms are lovely, beds are comfortable and the staff are friendly and helpful. There was some significant road works/ building works happening during our stay which resulted in difficult to enter and exit the building and very noisy. The staff were nice and gave us complimentary drinks tho. The pizzas at the restaurant were delicious and we ate them a few times they were so good. 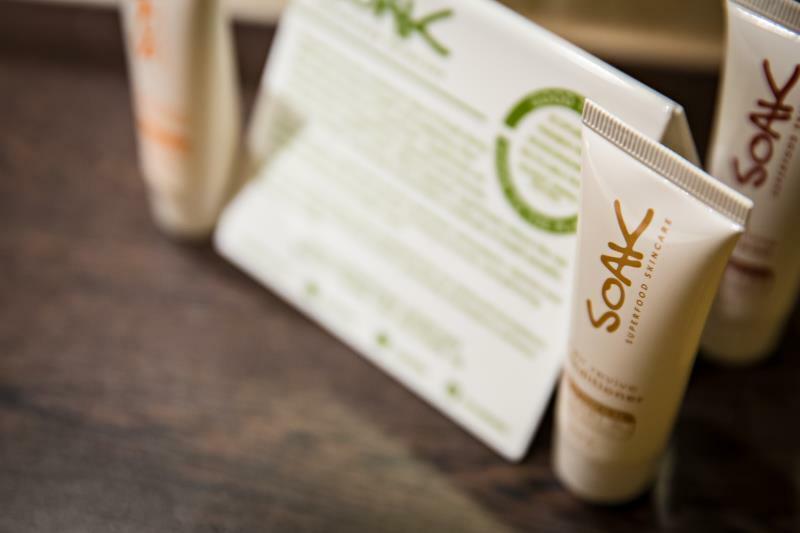 The complimentary toiletries are nice and the bathroom is a good size with good water pressure in the shower. Very clean rooms and tastefully decorated. We visited the rooftop pool but the water was too cold to enjoy unfortunately. You do get a nice view of the city from up there tho. Location was on Hindley St and close to pubs, etc without being too close to the crowds. Would definitely stay again. Very good hotel. It can really be recomended. I would stay there again. The only thing to take them on is no info that the parking costed extra, got informed of that when leaving which was a bit unprofessional of the person i met first day in reseptopn. It was anyeay cheaper than if there wasnt a deal from the hotel. I stay at this hotel reasonably frequently. It's got excellent rooms and if you take the king room the internet is free. The only problem is arking space is limited and sometimes the prices for this hotel are too expensive. I was really surprised. The lobby looked a little dated, but the rooms were great! I liked it better than the Crowne Plaza. They offered parking in their basement for a good price too, and they let me park there early in the morning before checking in that evening. I would definitely stay here again, we loved it. Great value. We enjoyed our stay at Rockford hotel and would stay again ! Easy walking distance to CBD, night life. Hotel staff were excellent, booked a Queen room and got upgraded to a King which was lovely and clean with very comfy bed, did not want to get out. Only thing that we didn't notice is that breakfast finishes at 9.30 AM on a Sunday which we missed by 2 minutes !, however breakfast staff were fantastic and did what they could to assist us. Thank You Hotel Rockford !! 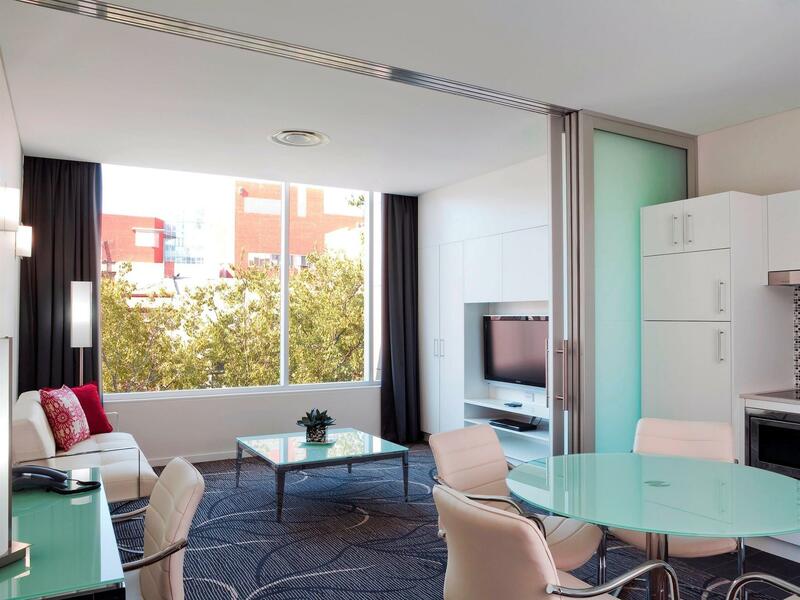 An excellent place to stay in Adelaide. Just out of the busy area and so convenient to Universities (especially to Uni of SA). Every Rockford staff member was very helpful and pleasant. Our 2 rooms were very comfortable and spacious. Certainly I would return to the Rockford when I am in Adelaide. The only good thing about my stay was the complimentary bath slippers. I found a long black hair tied into my robe, tooth paste and soap all down the basin, hair in the drain of the shower and spa bath, dirty tissues in both bedside table drawers, no Apple TV remote, rude staff and my requests weren’t fulfilled as promised. Tried to contact management and no reply. Wish I hadn’t wasted my money. Highly recommended for all type of traveling place Is very nice and spacious,close to all amenities within walking distance and last but not least good money for value. The hotel was booked last minute on a Saturday. The available room was very comfortable, large and had 2 x TVs available. Very clean room with a nice queen size bed. 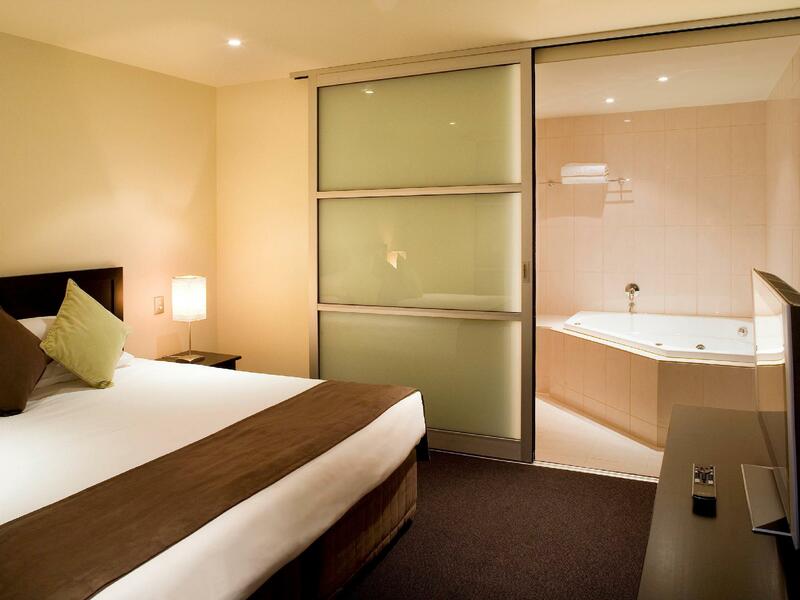 The hotel is in the NW part of Adelaide CBD and all venues are in walking distance to Chinatown, restaurants and clubs. Staff was friendly and check in / out was a breeze. Thanks for the review, we're pleased you enjoyed your stay especially the central location and service provided by the team. We hope to welcome you back again soon. We just stayed two nights. After getting oriented to the area we were happy with the location and the rooms were super. Great room service late. They took care of all our needs with great care. Close to many venues and sites. 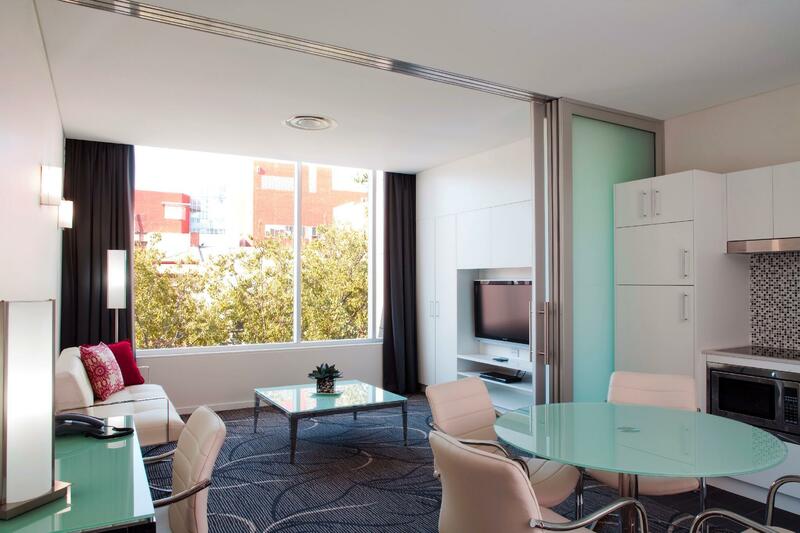 Proximity to CBD, size of room, friendly staff. 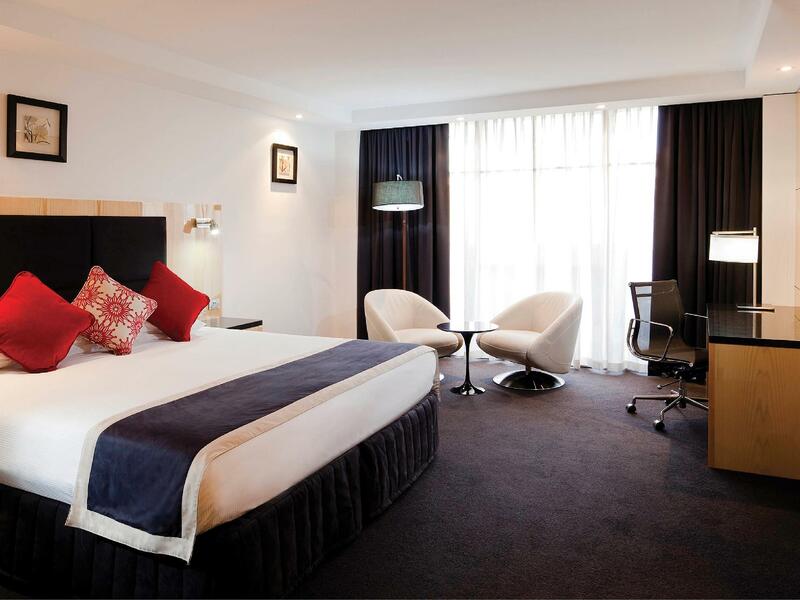 Had a great stay at the Rockford for the recent Liverpool football match. Is walking distance to everything you need. Yes it is in a slightly seedy part of town (lots of strip clubs/massage parlours) but I didn't feel unsafe. Guess it is just like Kings Cross etc. Breakfast was sufficient, the standard buffet fare. Wish the room was a bit warmer though, the wall heater didn't really heat up much and there was a small gap in the balcony door which cold air came through and we couldn't close it. Very helpful staff! The rooftop pool, the size of the rooms, and the bathtub. The Superior room on Agoda stated that it had a bathtub, however when we arrived we were told that it didn't include one and had a pay an extra $10 a night. Ripped off! Good hotel, but probably would've stayed down the East Terrace if stayed again. If your into going out ino the wee hours, this hotel is close to the action. The room was huge, and very comfy, and the spa bath was great, even though it cost extra. The staff were friendly at the frot desk and helped when needed. Free wifi is a bonus, and the pool on the roof is tops when its hot, as it isn't heated. Overall, it was still a nice stay. Nice bathroom, comfortable bed and furniture. However, we found a moth dead inside the kettle during our first day. Although in the end, we got free parking from the hotel after complaining, the attitude of the receptionist handling this incident was terrible. And, I hope the hotel can replace some of the old kettles. Staff were helpful and accommodating and quickly sorted a problem of parking to our satisfaction. The room was large, clean and well appointed with a large comfortable bed, but the large patio doors to the room were only single glazed, did not operate smoothly or close properly so allowed in Saturday night club noise; though there was no problem on Sunday night. Can definitely recommend for it's location even though it is at the seedier end of Hindley St.
My stay was good and comfortable. The room was relatively larger than other hotels I've stayed in before. The hotel has a nice rooftop pool. The room has a big TV. Free internet was provided. There were parking facilities. It is centrally located near shopping districts. Cool toilet design. We were there for 1 night in November, we were extremly tired when we arrived, had a sleep then went out for dinner, couldnt wait to get back to the room and fall into the beautiful king size bed. Room was very comfortable.